Wentworth Earl Miller III better known as Wentworth Miller is a multi-talented American actor, model, screenwriter, and producer. 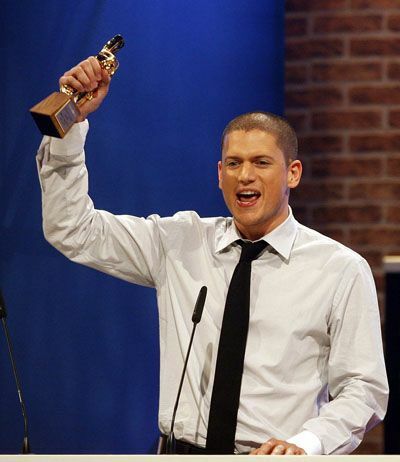 The Prison Break actor received a Golden Globe Award nomination for best actor for his role in the series. His career is taking a high leap towards success as he plays the role of recurring villain in an American television series The Flash. Wentworth has a very successful career in acting that has helped him earn a huge number of fans and a good net worth as well. Stay with us for more information about his net worth and career. Wentworth Miller, an England-born American actor, is one of the highest-paid television actors. He earned $175 thousand per episode of Prison Break; we can say that he has a pretty good net worth. As per sources, Wentworth Miller' net worth is reported to be around $8 million. Wentworth was the leading actor of Prison Break, which has already completed it's successful four seasons. A successful series helps you earn a fair amount of money, and in fact, we are talking about the main lead. So, his earnings are definitely high. Wentworth also endorsed brands like August Man Malaysia which definitely is helping him to build up such a high figure of net worth. Wentworth owns the BMW' M3-sports car manufactured by BMW that costs around $65,500. A perfect match to the dynamic personality. Wentworth migrated to Los Angeles in 1995 to pursue a career in acting. His debut television appearance was as a student-turned-sea monster Gage Petronzi on Buffy the Vampire Slayer in 1998. Miller's first leading role came in 2002 as David Scott in ABC's mini-series Dinotopia. After working in some minor TV roles, he co-starred in the 2003 film The Human StainI where he played a younger version of the Anthony Hopkins character, Coleman Silk. Miller was cast as Michael Scofield in Fox Network's TV drama Prison Break where he played the role of a caring brother who created an elaborate scheme to help his brother. This show later turned out to be the biggest break of his career, as he got the much-needed fame through the series. Miller, who is known for his acting, has also written scripts for some films. He has used a pseudonym 'Ted Foulke' under which he wrote scripts for films Stoker and Uncle Charlie. Miller has also scripted the American-Belgian thriller film The Loft which actually was a remake of the 2008-Dutch-language Belgian film Loft by Eric Van Looy. He has also sold a screenplay for a movie The Disappointments Room, to Voltage Pictures and Killer films and the film was released in 2016. Wentworth is a talented actor who has been nominated for several awards like Black Reel Award, Golden Globe Award, Saturn Award and other more. In 2015, he won the Saturn Award for Best Guest Starring Role on Television for the television series The Flash. Most of the nomination he got is for his work in the TV series Prison Break but, he has not won an award for the particular series. He was also nominated for the best screenplay for Stoker.